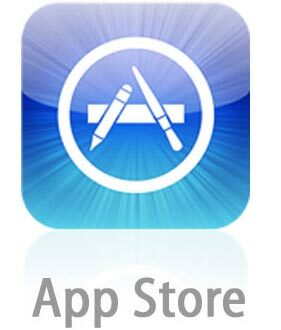 Apple’s App Store has over two hundred thousand apps and it is still growing. Since its launch in 2008, Apple has allowed third party application developers makers to develop and submit new applications to be approved or disapproved to run on iOS devices all over the world. The approval process of Apple’s App Store has been controversial throughout the world. Apple is constantly updating their guidelines. Recently, new guidelines letting more “fair play” in Apple’s monopolized ecosystem. For example, the existence of an iOS version Adobe’s Flash Players and the opportunity of a Google Voice app to be existent. Apple is sometimes rather lenient when accepting apps, but can also be harsh to disapprove of them. . According to Stackoverflow, the average time it takes Apple to review an app is about two weeks. This depends on how complex your app is, if your app is simple to use and easy to figure out, your app can be evaluated in about a week. When you do finish your app, the third party app maker has to make the adjustments to Apple’s rules. Such as, when Apple changed their software to iOS 4, the third party app maker has to manage their own app to fit the new software. They also have to fix the bugs that affect the apps when they either start up or crash in the middle of the game. Your app can be seen by anybody who has an Ipod product, and your app can be the talk of the world, or the nobody of the app world. The success to an app is great idea, doesn’t crash, and is winnable or has a solution to a problem. I think that Apple has the perfect-ehh mixture of being lenient with apps but can also drop the hammer on some. Many reviewers such as engadget.com have expressed that having multiple apps of the same thing is not a good thing. Like the flashlight app, is there really a need to have fifteen of the same kind of app? I think that Apple needs to get rid of some of the apps that are appearing to many times through the search engine. Over the past two years, Apple has developed a great presence in the mobile application industry. Apple has taken many risks by letting third party app makers into the App Store, but also has great reward. In order to improve, Apple needs to look into applications on the App Store since there is an existence of “garbage” applications. I think they need a better filtering system that gets rid of apps that are duplicates of one another.